Buona notte - Are you happy to waste your time in listening? Receive a heartfelt Easter greetings again from Dili, Timor Leste, one month after our annual EAO meeting of provincials and delegation superiors. Yesterday I have returned from the short intermediary General council meeting in Rome, where we discerned with the Rector Major the theme and path towards the next General Chapter 28 (2020). Today we also remember the 230th Birthday of Mamma Margaret [Margarita Occhiena], mother of Don Bosco [1788 – 1856] as well the anniversary of Don Bosco canonization day in 1934. During past two months moving around Indonesia and Timor Leste, I met hundreds of young people who are growing with the Salesian Family members and spent long hours in listening, in dialogue and deep insight in the hearts of our confreres. I try to treasure especially many questions raised. 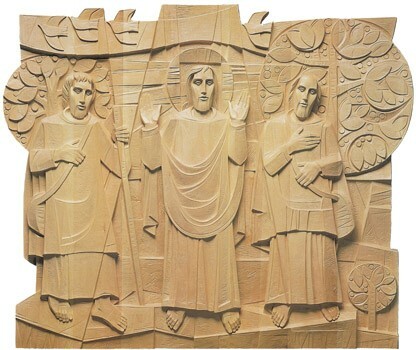 And now, entering the Eastertide, my attention is attracted by the Emmaus story of Jesus who walks along the disappointed disciples. Yes, Jesus didn’t hesitate to waste his precious time in listening. And what about me, what about us today? 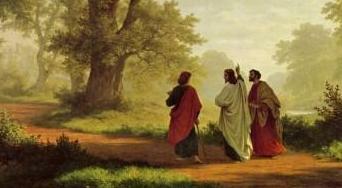 Starting these 50 days of Eastertide, I turn the eyes of my heart on Jesus walking and listening on the way to Emmaus. Oh, it’s a wonderful image to consider! Yes, it’s not easy to talking the walk with patience and deep interest in the life of our youth, lay and confreres! I’m asking the grace to follow Jesus in his humble attitude of a friendly assistant, who walks together with the young and guides them to the true life. Yes, I’m happy to waste time in listening to the young people and my confreres! I wish all of you a joy filled Eastertide!